The second phase of the on-going financial sector reforms, where sweeping changes are expected to be introduced by the Central Bank within the Savings and Loan companies (S&L), Microfinance Institutions (MFI) and Finance Houses, will cost the tax-payer GHC 700million, Dr. Ernest Addison, Central Bank Governor has disclosed. “We have already announced that it will be the next phase, and we will be focusing on ways to see that the depositors in that sector of the market are taken care of. We are working with the Ministry of Finance to raise the necessary resources to do that. I cannot tell you the exact date because that is yet to be decided but the commitment is there. I can assure you that we are in the second quarter and hopefully within this quarter we will be able to bring that issue to fruition because we are close to obtaining the resources that we need to deal with the microfinance institutions. The preliminary estimate that we have for microfinance institutions is just GH¢700 million,” Dr. Addison said. The governor was, however, tight-lipped on the approach the BoG will use this time, considering the previous approach used to clean-up the banks led to serious ramifications for the economy such as job losses, panic withdrawals, and ultimately loss of confidence in the banking sector. “The modalities will become clearer when the time approaches,” he said. 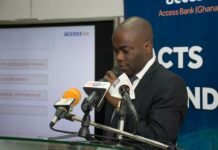 Despite his reluctance to comment on the approach, Dr Addison hinted last year September that in the worst-case scenario a Special Purpose Vehicle (SPV) will be created, funds of depositors transferred to the new entity and funds provided for the smooth operation of the new entity; similar to the creation of Consolidate Bank Ghana. “We are discussing with the Ministry of Finance the measures which need to be taken to stabilise that segment of the market. Measures for stabilising the savings and loans segment of the financial market are no different from the measures that have been taken with regard to the banks. If these savings and loans companies are insolvent, they will have to be liquidated; that is the solution for insolvent financial institutions,” he said. The deposits of these institutions, he said, are not insured; for which reason there has to be a cost associated to dealing with them, with implications on the budget. The number of licenced microfinance companies as of August 2018, according to data available on the BoG’s website is 484. It is reported that a number of microfinance and savings and loans companies are in distress with many depositors finding it difficult retrieve their monies. Some of these institutions have even shut down their businesses.